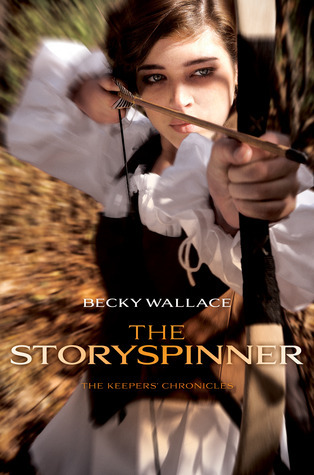 I am thrilled to be a stop on the book tour for The Storyspinner by Becky Wallace hosted by Rockstar Book Tours! Today, I have an author interview for your reading pleasure, but be sure to check out the tour schedule below, or click the banner above, to read reviews and more! 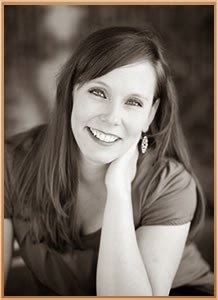 Welcome to Bookish, Becky! I'm so excited to have you here with us today! Me too!! Thanks so much for having me! In tweet form (140 characters or less), how would you describe the story of The Storyspinner to those who haven’t heard of it yet? Tell us about Johanna, your heroine. Johanna is a Performer, a trained singer, story teller, acrobat, and flaming-knife thrower. She wants to follow in her parents’ footsteps and travel their country entertaining in all the major cities. When her father dies unexpectedly and her family is kicked out of their troupe, her dreams are dashed. She has to provide for her family, and is forced to take a job as a court performer for the arrogant and gorgeous Lord Rafael DeSilva. One of the things I love best about Johanna are her mama bear tendencies. You endanger her family, you meet her wrath! I know this may be a tricky one, but what is your favorite (non-spoiler) scene from The Storyspinner? Easy-peasy. I call it the Not-So-Charming Prince Scene (chapter 2), when Johanna meets Rafi (sigh) for the first time. Sparks—and fists—fly. What was the first thing you did when you learned you were going to be published? Almost wrecked my car! True story. I was driving through a forest in northern Virginia when my agent called, but reception was bad and her voice kept cutting out. It sounded like, “Simon & Schuster…(garble, garble)…pre-empt..CALL ME BACK!” There might have been (totally was) some dangerous speed racing to get out of the trees. If I could live in any TV/movie/book universe, it would be . . . A world without reptiles! *shivers* Snakes, crocodiles, lizard-things…you find a habitable place without those creatures and I’m there!! The last book I bought was . . . TUNNEL VISION by Susan Adrian. She’s one of my fellow Fearless Fifteeners, and so far I’m really enjoying it!! Thanks for being here, Becky! I really enjoyed the interview and cannot wait to read The Storyspinner and meet all these wonderful characters you talked about!